B.U.G.S Version 1.56 for OS/2 is here! Each decade has brought us new challenges - Flower Power, Punk Rock or designer underwear: We've survived and defeated them all and finally sent them back to where they belong. But now our oddest nightmares are coming true - a new enemy is sending masses of invaders to infect our computers, palmtops, dish washers and even some of the coffee-percolators! 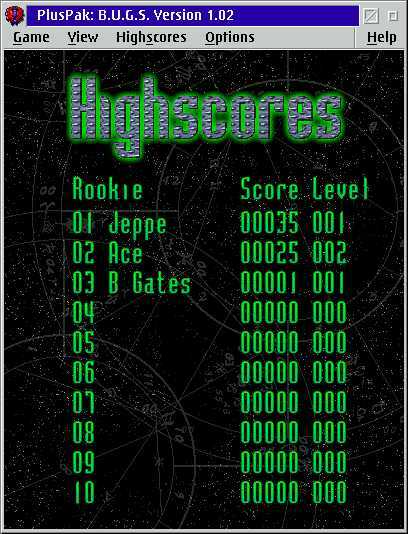 The Ultimate Arcade Game for OS/2 Warp. 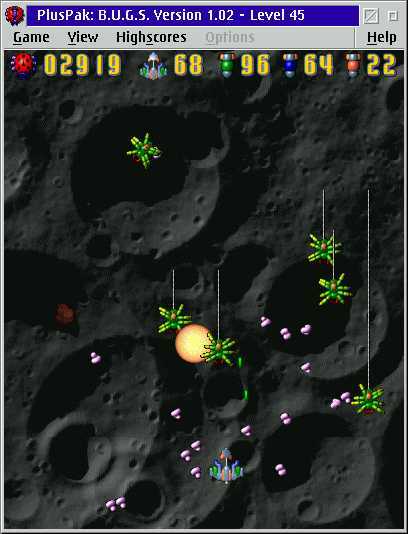 So: Fasten your seat belts and blast your way through the hordes of mutant bugs, spiders and other nasty creatures in this original fast-paced galaga style arcade game. 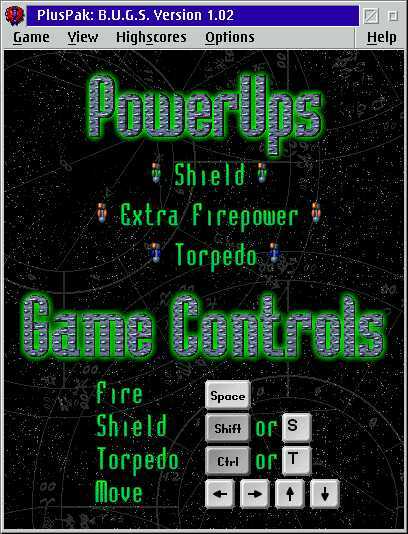 Dazzling graphics and explosive sounds meet you as you pilot your lonely ship trying to free the galaxy from Bills Evil BUGS! B.U.G.S. 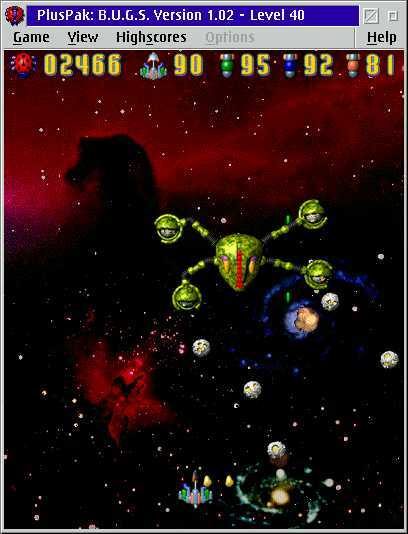 was first released on IBMs OS/2 operating system and is one of the most popular OS/2 games available. 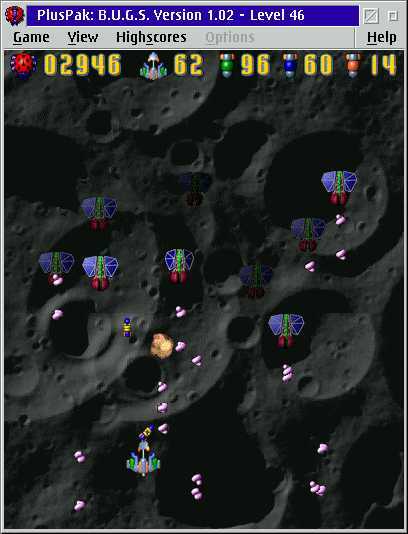 Its very simplicity (and low price) have attracted many OS/2 gamers and even won it the coveted OS/2 game of the year runner up award (behind Links for OS/2) from OS/2 Inside magazine for 1998. In 1998 we decided to do an Windows port of B.U.G.S. which had a different user interface to meet the needs of the new platforms users. 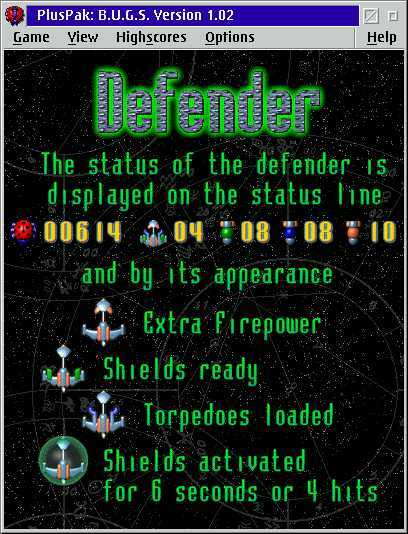 It has become our basic development platform now, but - of course - the OS/2 version will also be updated with the new graphics and some of the features that the Windows version receives. 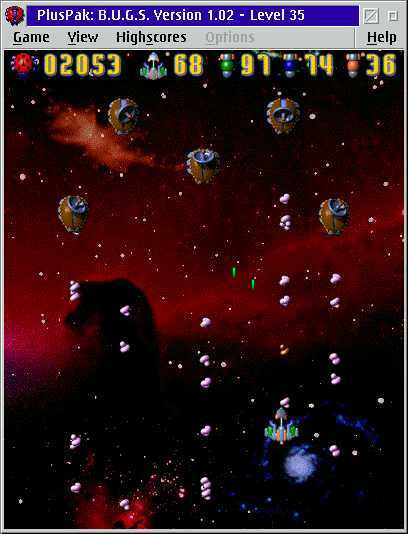 "...The game has many similarities to Galaga, but is far from a straight clone of the classic arcade game. It is well polished and plays well, and since there are 50 levels for each difficulty (and I still haven't quite managed to beat it on the easiest level), you are assured of hours of gameplay." "...While there is room for improvement, I found PlusPak: B.U.G.S to be quite fun. Everything is well polished, and the authors were quite responsive when I made suggestions or found any minor bugs. I look forward to more good things from the guys at Cramon Utilities." "This has got to stop. I have work to do and can't keep spending my time playing this game. Please take my BUGS away." 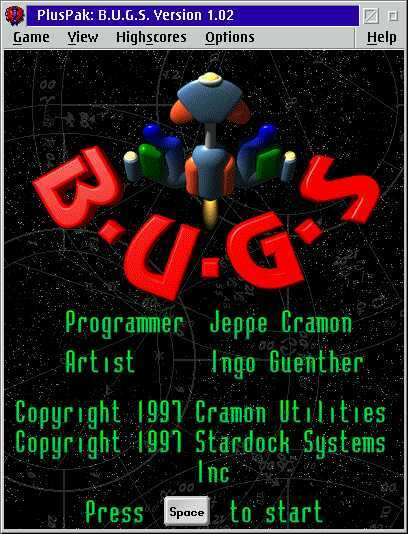 "If you are looking for something to pass some time and blast away at some aliens, then bugs is a great game to accomplish that. [...] The graphics are impressive. All in all this game is a great bargain at $9.95." RANDOM LEVELS (really powerful) !!! B.U.G.S. is available for $9.95 on the Stardock Commerce Server.